Realistic Navaho 40 Channel Base Station TRC-431. Condition is Used. Tested and in working condition! This radio is in excellent to Mint condition (appears to be rarely used, maybe Never, looks like new) everything is 100% original. This radio can easily have a collectors. Radio in such a condition, find very difficult and rarely. Condition is Used. Pl ea se not e th e microphonec ab le i s a li tt le f ra ye d bu t it d oe s no t af fe ct operation. Gr ea t co nd it io n.
SBE-26CB Formula D. Condition is Used. Shipped with USPS Priority Mail. Looks new old stock with original box and paperwork,untested. CiBi - CB DIRLAND SS 3300 (SUPERSTAR 3300). Antique Geiger Counter PR-1. Shipped with USPS Priority Mail. Neues AngebotCOBRA 29LTD 40 CHANNEL CB 2 WAY RADIO W/EMERGENCY CHANNEL 9. NO MIC. This is a new item in open box, it has never been installed. The Mic is not included. Item has been sitting in the storage for a while, the box might look rough. Classic Robyn T-240D "The Executive", Original owner radio. It has been a daily talker! All functions including Transmit and Recieve as well as all indicators work fantastic! Has a switch on the back for lower frequencies below channel 1. Includes matching desk stand with rubber feet, 4 pin Robyn to 4 pin Cobra/Galaxy microphone adapter, and A/C Power cord! Sold as-is due to age, parts pullers and scammers. Also advertised locally for sale, get it before its gone! Buy it now includes Free USA shipping* Make sure the shipping address is 100% correct and accurate. Seller is under no obligation whatsoever to reship item for free if buyers address is not correct/bogus/etc. NOS VINTAGE RADIO SHACK REALISTIC TRC-418 40 CHANNEL 2 WAY CB RADIO 21-1511. This unit powered up ok and seems to be in working condition although I`m unable to hook up to an antenna and actually use it. Galaxy DX959 CB Radio with AM/SSB. Automatic SWR Circuit. High SWR Alert LED Indicator. AM, SSB and PA Modes. Included Accessories: – 4-Pin Dynamic Microphone – 3-pin two-wire power cord – Mounting Bracket – Mounting Knobs – Microphone Holder – Operation/Owner’s Manual Great radio for the professional driver. Blind Spot & Lane Change Kits. 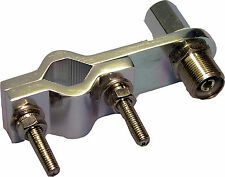 Compatible with : Compatible with all CB antennas on the market. Cable connection utilizes standard CB PL-259 connection. 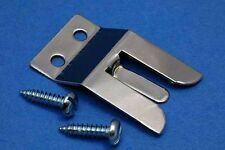 Radio mounts with "U" mounting bracket to any flat surface. SEARS Citizens' Band 23 Channel CB Two-Way Radio New Old Stock 613674. This has never been used. It is still in the plastic in original box. Condition for the age. Local Pick up available. I provide detailed and enlarged pictures. Communicate with others on the road with the 40-Channel CB Radio (With SWR Meter) from Uniden. 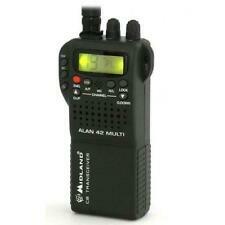 This compact CB radio is powerful and sturdy. With this radio, you never have to miss another transmission, even when you are driving. Highlights Of UNIDEN PC78LTX 40-Channel CB Radio (With SWR Meter) 40 channels Public address Automatic noise limiter/noise blanker Instant Channel 9 Microphone RF gain High cut With SWR meter . Has 23 channels, handset selection switch, Delta tune /-. Nice little CB radio made in Japan. ( operation without an antenna or with un-tuned antenna ) can lead to. 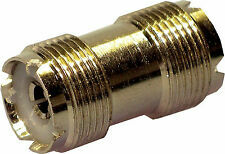 FOR 27 MHZ CB RADIO. 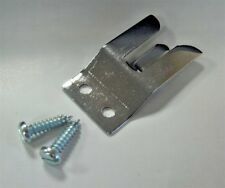 HEAVY DUTY 10OZ MAGNET. 35" 17-7 STAINLESS STEEL WHIP. 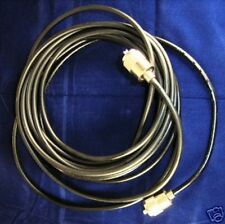 INCLUDES 15FT COAX CABLE WITH PL259 CONNECTOR. LOCAL PICK UP AVAILABLE. FOSS WAREHOUSESALES & SERVICE. LET US KNOW ABOUT IT. Hi, this unit is NEW NEVER USED or tested and has never been out of its factory wrapping. I only opened the boxes to take the pictures. This is not a chinese model it was made in Thailand. The Uniden Bearcat 880 CB radio gives you the clearest reception, strongest transmissions and greatest range. 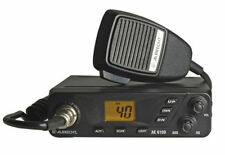 Bearcat 880 CB Radio. There is a CB/PA switch and it's even wireless mic compatible. CUSTOMIZE THE RADIO AS YOU LIKE! Delta Electronics new DFC100 is just that new tool for your station! The Delta DFC100 is a beautifully designed 6 digit frequency counter that gives the userTWO connection options ! What more can you ask when all your trying to do is get precise frequency readings! The OutPut Final Section Has Been Reworked For High Performance Levels With 35-45 Watts PEP Output Levels, and a High Receive Kit Was Installed. All Our ((SKY WALKER)) Models Have Been Enhanced With Maximum High Performance Levels, and Are The Best Radios You Can Find! Cobra 29 LTD Classic 40-Channel CB Radio. Condition is Used. Shipped with USPS Priority Mail. 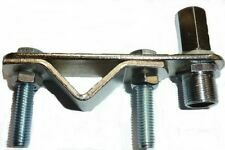 Stackable for any amperage you need. 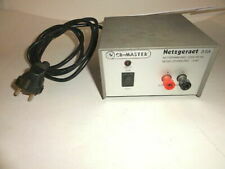 It operates on 120 volts AC or 220 volts AC, 47Hz to 63Hz. This makes this unit much lighter, smaller and less likely to over heat and malfunction. A 110 volt power cord is included with each unit. GALAXY DX 949 40 CH AM/SSB CB RADIO,SUPERTUNED,HI RECEIVE KIT,VERY POWERFUL!!! The Modulation Has Been Set at 100%, with Loud, and Clear Audio Reports. This Radio Really Swings The Needle, Walks, and Talks ! We Tested This Galaxy Radio, and Had Reports, While Transmitting Into a Ground Plane Antenna, That The DX 949 Radio, Had a Big Audio Swing, Of 4 To 5 Db Gains, and Very Loud Audio Peaks. Superstar 360 FM The 360fm is a great. radio with a few extra features like talk back,10kc switch. Galaxy DX959B Included Accessories AM, SSB and PA Modes. be distracted when fumbling around with your CB in the dark. Galaxy CB’s have tactile knobs. Galaxy Noise Filter for use on Weak Signals. Galaxy Two Year Warranty. NEW 100 FT length RG-213U high power coax patch cable withHAND SOLDERED silver body PL-259 (UHF male) connectors on each end. Attenuation per 100Ft of 1.2dB at 30MHz, 1.5dB @ 50MHz, 2.8dB @ 150MHz, 5.2dB @ 450MHz. Vintage Realistic TRC-425 CB Transceiver Radio still packaged!! COBRA 29 WX NW ST SOUNDTRACKER 40 CHANNEL CB RADIO NOAA WEATHER NO MICROPHONE.